Ashgrove Academy (AA) is a foundation school wholly owned by the University of Port Harcourt. The school offers a range of access courses into universities in the United Kingdom, United States of America, Canada, Asia, Australia and Nigeria. At Ashgrove, students are exposed to a variety of opportunities to choose from the traditional A/Level and foundation qualifications. 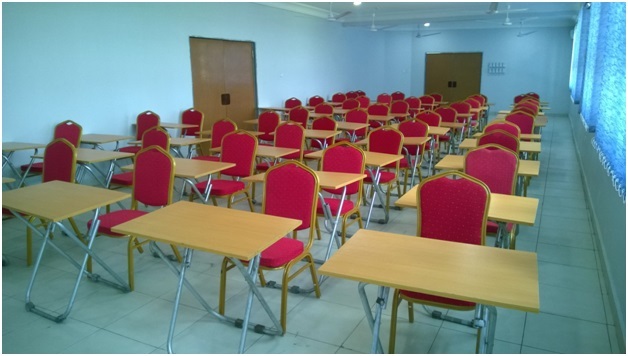 Apart from preparing candidates for the Cambridge A/Level examinations, the school prepares students for the Joint Universities Preliminary Examinations Board for Direct Entry into 200 Level to the University of Port Harcourt and other universities in Nigeria and abroad that admit candidates with JUPEB certificate. To advance students’ ability to demonstrate strong critical and creative thinking skills through appropriate scholarship. To provide a diverse community of learners with engaging learning opportunities designed to raise expectations and ensure that every student in our care achieves highly and graduates well-qualified. To successfully fulfil the mission statement, Ashgrove Academy will give priority to three core principles. These principles give Ashgrove Academy its unique identity. 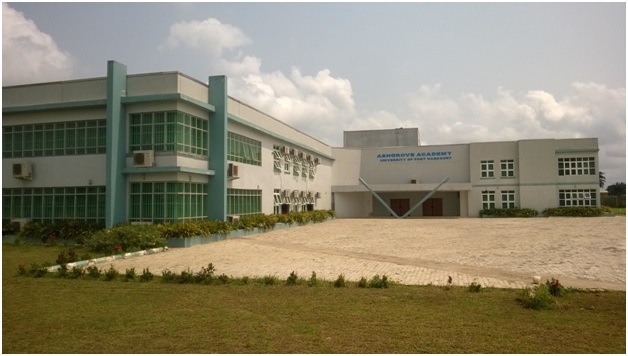 Ashgrove Academy is located in the University of Port Harcourt Permanent Site, along East-West Road, Port Harcourt. The Academy can be accessed through Alex Otti Drive, off Faculty of Law Building, University Park Road, within the University Permanent Site (popularly known as Abuja Campus). The Academy complex is situated directly behind University Demonstration Secondary School (UDSS). Our purpose-built school offers excellent facilities, all of which are available for the exclusive use of our students. 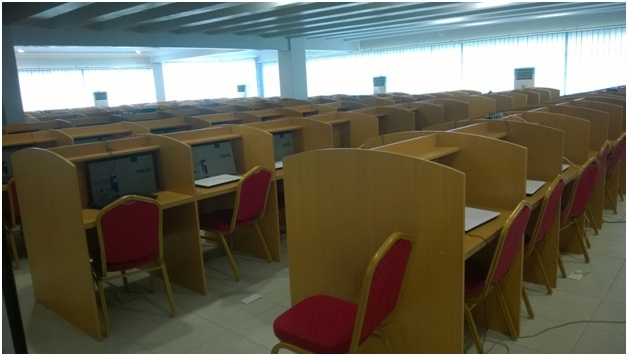 Laboratories: supervised science laboratory and quiet ICT rooms equipped with 300 laptops. 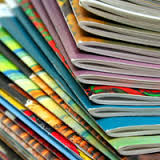 Library: a comprehensive range of reading materials for students’ research. There is a dedicated full-time librarian on hand for advice and assistance. Sports: standard soccer pitch, Tennis, badminton, indoor games etc. Participation by all students is encouraged. Co-curricula: activities include public speaking, debating, presentations etc. Accommodation: Well-appointed personal en suite residential hall. Facilities include bed-base and mattress, mattress protector, bookshelf, wardrobe, curtains, desk and chair. Shower rooms fitted with a shower, sink and toilet. Other facilities include, a laundry, an on-site common room with TV and vending with refreshments. The hall office is available as a source of advice and information. Pillows and bed-linen (bedding pack) are collected upon arrival. -Classrooms furniture that promotes collaboration, problem-solving, group projects, and individual activities. -Sufficient lighting levels that help students read projection screens and whiteboards whether they are closest or furthest away from the presentation. -Intelligent lecterns such as interactive whiteboards with audio/visual. This programme is designed for students who prove, during their admission test, that they have the capacity to pass the GCE A-Level examination in one academic session. Such students are given accelerated preparation for the Cambridge GCE A/Level examination within one year. The two-year traditional A-Level Programme is designed for students who, after being examined during their period of intake, we cannot guarantee their success in the GCE A-Level examination in one academic session. This is the regular A-Level programme traditionally administered by Cambridge for direct entry to high profile universities all over the world. The Joint Universities Preliminary Examinations Board (JUPEB) is the body responsible for examining students for Direct Entry admissions to Nigerian Universities. 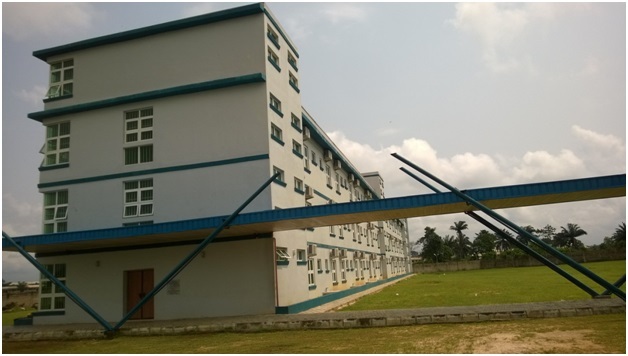 The University of Port Harcourt is a founding member of JUPEB and has contributed tremendously to the development of the curriculum of the Board. The University offers the platform of Ashgrove Academy for students who may wish to gain Direct Entry to its programmes or programmes of other Nigerian Universities through JUPEB-administered entrance examinations. The programme is designed to last for one academic session, after which, successful students may gain admission by filling the Direct Entry JAMB form which leads to admission into 200 Level of the University of Port Harcourt or any other JUPEB-affiliated university of their choice. The Academy is managed by the University through the Management of the College of Continuing Education (CCE). The Governing Board of the CCE oversees the affairs of the Academy. Its day to day affairs are handled by the Director of Studies. All members of staff work assiduously towards rendering world-class services to the students and other stakeholders of the Academy. At Ashgrove Academy, “Excellence” is our watchword. Our human and material resources also depict the spirit of excellence, which permeates all that we do at the Academy. Our subject teachers,as a rule, possess a minimum of Second Class Honours (Upper Division) and Master’s degrees in their teaching fields.This is to ensure that success of our valued students is guaranteed. In the same way, our administrative staff cadre is carefully selected, bearing in mind the special services they are to render to the students and the intensive nature of the A-Level programme. Every member of staff of the Academy is dedicated to rendering excellent services to the students and all other stakeholders. 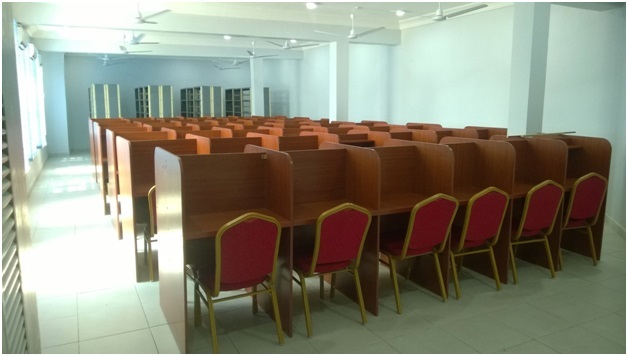 The buildings within the Academy complex are specially constructed to meet global standards and offer requisite comfort to both students and staff. Apart from being fully air-conditioned, the Administrative/Academic Block and the Hostel Block are fully furnished with state-of-the-art equipment and safety gadgets. There is a provision for Dining Hall within the premises of the school. This also helps to ensure that students’ attention will be fully concentrated on their studies. The security of our teachers and students is paramount to us, hence, the location of the Academy within the University permanent site with adequate security presence. To add to the security needs of the Academy, the complex is further protected with perimeter fences with adequate lightings all around the fence. For better security service delivery, the Academy is guarded by a private security company recruited exclusively for the security of the complex round the clock. In addition to the private security company, men of the Nigerian Police Force, Choba Division are also on constant patrol every night around the Academy complex to augment the efforts of the private security company. Students are encouraged to engage in recreational activities at the stipulated periods to boost their performance levels. The Academy has provided sporting facilities for football, basketball, handball, table tennis, chess, scrabble, and badminton. Once in a while, students who may wish to engage in other games like track and field, swimming, tennis, fitness, and martial arts games are escorted to the University Sports Institute, where the facilities are available. Our students are also encouraged to participate in competitions within and outside the University when the need arises. The University has two outstanding church buildings, one for Catholic faithful, and the other for Protestants. There is also a mosque within the University Park for Muslim students. Our students’ faiths are identified on admission and arrangements are made for them to attend religious programmes according to the time of worship at the respective places of worship. In addition to these arrangements, devotion periods are observed in the Hostel Block every morning and every evening to boost the moral values of the students. They are also taught to respect one another’s religious views and co-exist harmoniously within the complex. At resumption, parents bring their children to the Academy or aid the students to return on their own. Once students return to the Academy, their movement is restricted within the Academy. If there is any need to leave the Academy (for academic or sports assignments), the concerned students are conveyed to their destination with the school bus in company of a member of staff. All students of the Academy are expected to dress in grey coloured trousers/skirt, white shirt/blouse and a navy blue blazer. The dress is complemented with a navy blue/gold coloured stripes tie and black flat shoes. All courses will be taught in small groups to enable students benefit from group discussions. Courses will be taught based on combination of subjects, practical classes and regular tests. 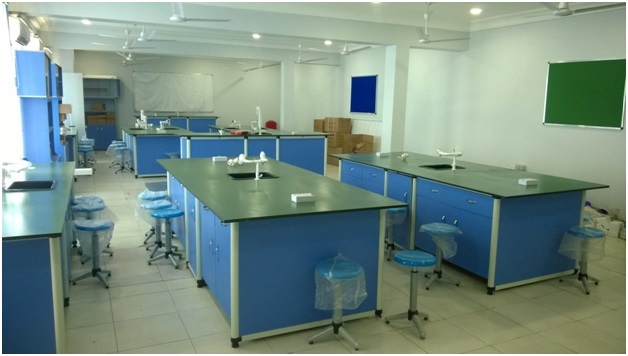 Practical science work will be carried out in the fully equipped laboratories of the Academy. Students will carry out experiments in order to be familiar with concepts application and develop skills in the use of apparatus in preparation for A-Level examinations. The subjects offered at the Academy include: Mathematics, Literature in English, Chemistry, Physics, Biology, Economics, Geography, Business Studies, History, Christian Religious Knowledge and Government. Detailed information on available scholarships and how to apply for them successfully. Admission is offered to suitably qualified candidates in September of every academic year. During application for admission, interviews will be conducted to assess whether a student has the ability and determination to run the Accelerated 1-year programme or the Traditional 2-year A-Level programme. As part of the process of guiding students to secure admission and scholarships, speakers will be invited from relevant agencies to talk to students on the rudiments of the programme and advise them on career path. Admission Requirements: Candidates must possess a minimum of five (5) credits in relevant subjects (English Language and Mathematics inclusive for JUPEB candidates) in WASSCE or NECO, Cambridge “O” Level, and Cambridge IGSCE. Applicants can also apply non-refundable application fee of N20, 000 (twenty thousand naira only) at designated banks indicated in the call for application announcement.